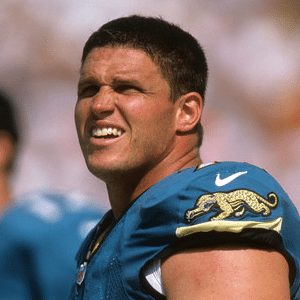 Tony Boselli exemplifies what it means to be in All Pro Dad. He loves his wife, Angi because of her compassion and commitment to God and family. Tony Boselli exemplifies what it means to be in All Pro Dad. He loves his wife, Angi because of her compassion and commitment to God and family. Tony says about her: “She’s always there when I need her. She is responsible for so much of my growth as a man, and also as a husband and father.” Tony is also devoted to his kids; he has a heartfelt commitment to raise them up to be men and women of character: “My great desire is that my kids not see me so much as a football player, but as their loving father. I am committed to providing them with a loving, stable and supportive home environment. I want my children to see the love that Angi and I have for them demonstrated daily.” In addition to being a full time husband and father, Tony has a foundation that provides children with quality programs to build character, athletic and academic skills. He also mentors high school and college students. When Tony is not busy helping families, you can find him playing golf or scuba diving. But his central time commitment is to his family. And that’s what makes this NFL All Pro player truly an All Pro Dad.